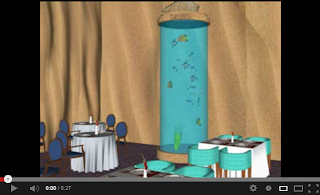 As I promised I am happy to announce that we have just published “Sketchup for Interior Design Revisited - Course 3. Materials and textures the key for interior design". This title covers all the topics using Sketchup 2013 and it is now available on Amazon and Kindle. The PDF format is available at http://www.sketchup-interior-design.com/interior_design.html and through Sketchucation. “Training Course 3. Materials and textures, the key for interior design” teaches how to use pictures and components, and create new materials from any picture or swatch that you might have. You will learn to create your own libraries, to modify colors and scales, and use Match Photo in an interior room. Real word textures will be used for finishing, carpets, upholstery and curtains. The book also covers a couple of useful plugins that can be installed in Sketchup Make or Pro. The cover image was a contribution of Edward D. Castro, a great visualizer in the Philippines. In a way of expressing my gratitude to him I will donate to the Red Cross 50% of the proceeds of this book to the disaster relief campaign for those affected by the typhoon. Please support me with this cause. 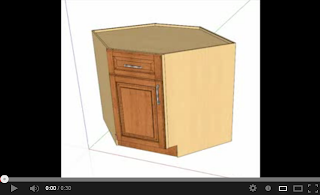 In past May Sketchup 2013 was released. During this time I have concentrated on updating the content of my books to this version although many other authors chose not to update theirs as no substantial changes were introduced. 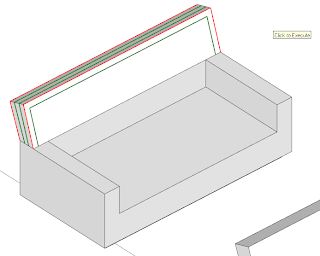 Since the visual environment looks slightly different and some menus have changed I thought that there was a need to rewrite the contents especially for those who have no previous experience in Sketchup. 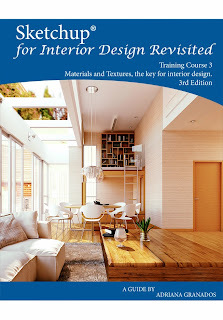 I am happy to announce that we have just published “Sketchup for Interior Design Revisited” - Course 1 and 2. These two titles are now available on Amazon and Kindle. 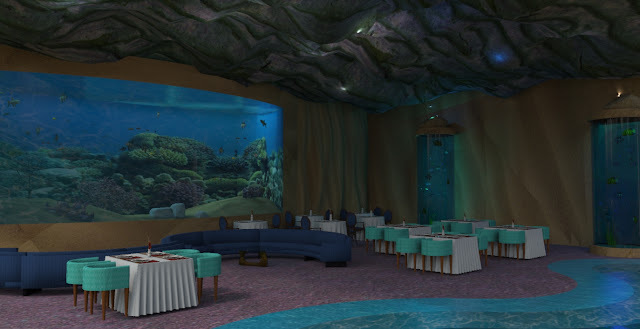 The PDF format is available at http://www.sketchup-interior-design.com. "Training Course 1. Developing Basic Skills" offers to those that are new in the use of Sketchup 2013 the basic knowledge to draw, edit and manipulate various elements. 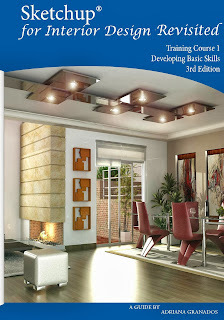 This book focuses on the fundamentals for the interior design field. "Training Course 2. 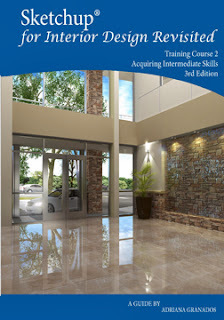 Acquiring Intermediate Skills" focus on maintaining the geometry of a model under control. Having a disorganized model can be a real headache and this book teaches how to use Groups, Components, Outliner and Layers for those wishing to reach a good end. I am currently writing the most complex of all the four courses due to the differences between Windows and MAC. This third volume focuses on how to incorporate materials and textures and will be available in two months. Then, How to Communicate Your Ideas in a Convincing Way will be published. The Extension Warehouse has been incorporating most of the known plugins. However, many of those that I frequently use are not yet showing when I request a search. To fill this gap I installed Sketchucation Plugin Store to complete my search options. Both, Sketchucation Plugin Store and Extension Warehouse as well offer the user a brief description of the use of the plugin and you can also make a search by topic of interest . Layout includes now a variety of patterns to create architectural drawings. 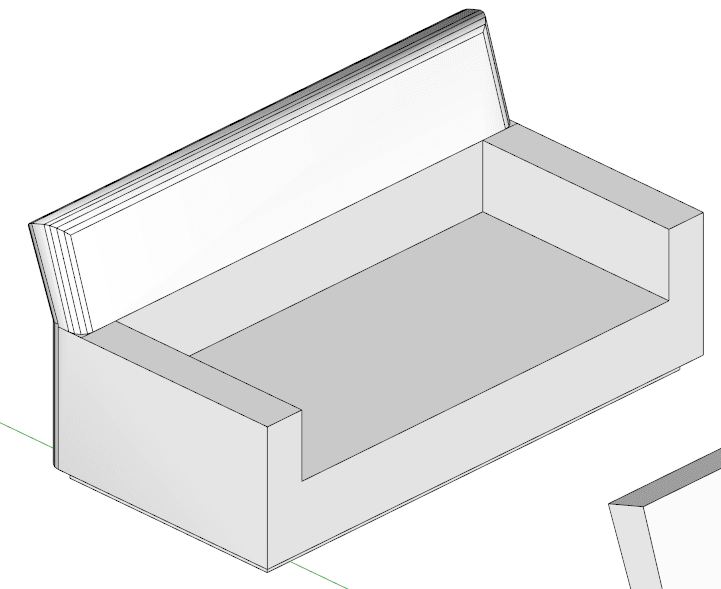 A great benefit for my students has been Speedier Vector Rendering that provides significantly less time waiting for LayOut to vector -render the contents of a model viewport. Another fantastic inclusion has been Numbered Pages in the Pages panel . No more counting down from the top of your Pages panel to figure out which is the page you want to print. Completing a couch and put textures on round edges can be a matter of just a few minutes with two essential plugins for interior designers. The first, called RoundCorner by Fredo performs the rounding of the edges and corners along a 2D profile. The plugin offers three modes: Round Corners, Sharp Corners and Bevel. 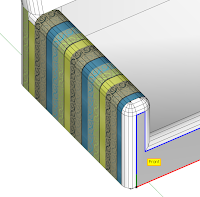 Also supports round corner concave corners and non-orthogonal edge faces. Corners can have 2, 3, or more edges. This plugin gives users a quick way to make operations that would take much more time with Follow Me native tool. allows selecting edges by picking them individually or by group, or also by picking faces and vertices. Edges must have exactly 2 faces. 1. Select the edges you want to round. If you make a mistake in selecting the edge click again. You can also choose a face to select edges. Note: The Round mode creates much more faces than the Sharp option so be cautious while selecting this option. While you get to know how to use the plugin my best advice is to select edges by faces or one by one to control better your final result. 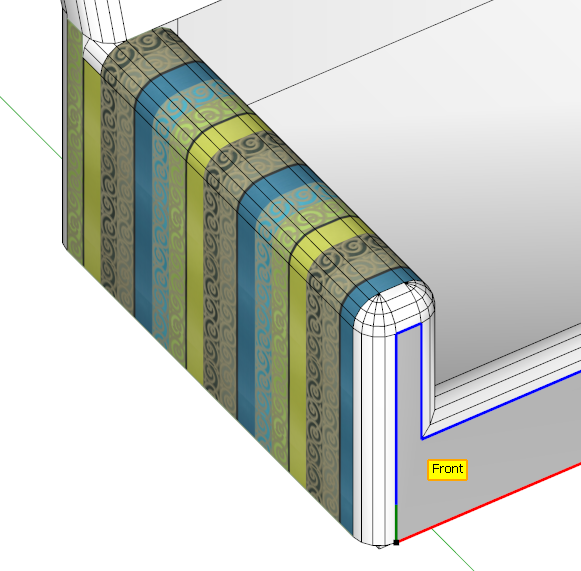 Also separate elements into groups or components to avoid sticking edges and to simplify the process of applying materials. In the image below the cushions are components. Applying materials in Sketchup is pretty straightforward on simple faces or when you have solid colors. 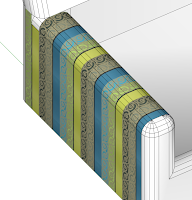 However, in cases such as a patterned fabric applied on curved faces matching the pattern can be very time consuming using the native Projected Texture option of Sketchup. ThruPaint is another plugin offered by Fredo that resides within a suite of tools. Either RoundCorner or ThuPaint are available for free on the SketchUcation forums. I encourage users to make a donation to Fredo’s PayPal account. The plugin offers three texturing options but not UV mapping. • Natural UV ensures the continuity of the texture without distortion. UV propagates from the original face painted by their common edges. It is recommended for flat and smooth surfaces. • Projected UV has various choice of projection plane: Given initial plan, view camera, custom faces, and local axes of the model. • QuadMesh, requires that you paint the faces arranged as pseudo-quads in a mesh fairly regular. Useful for arches and spheres. • You can also transfer UV mode (the paintbrush icon colored), where you can substitute a texture with another, without changing the UV. For each texturing mode, you must select the axis U and V direction flying over the edges of the first surface to be painted. In this example I chose the Natural UV option with a single face selection. I have found that this selection mode let you control easily how to apply the material. The selection mode allows you to chose the face to be painted, which gives you great control over how you want to texture your mesh. You can even dictate to paint only front faces, back faces or both. This mixed with the surface selection modes really speeds up the painting process. 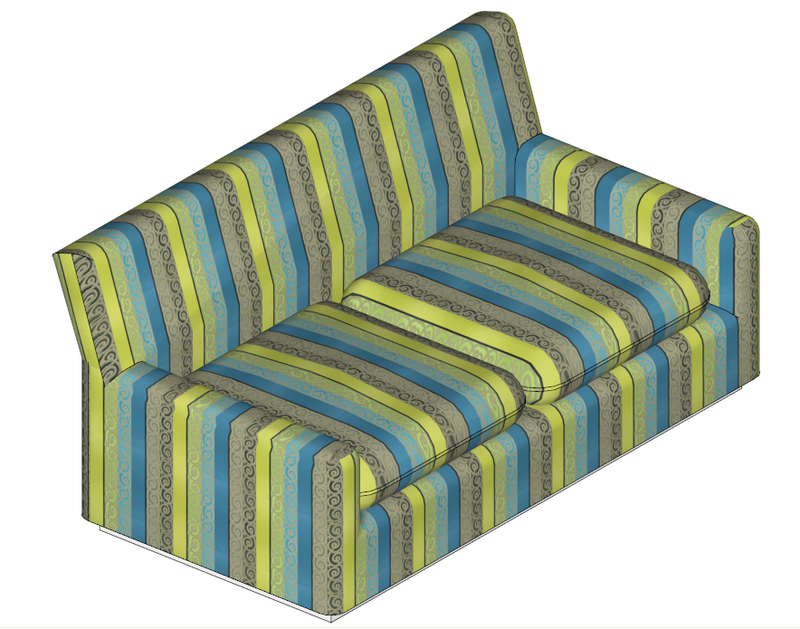 For the sofa arm I started with the top horizontal face and then I dragged the mouse toward the exterior and interior sides to keep the same UV directions and allow the continuity of the fabric. 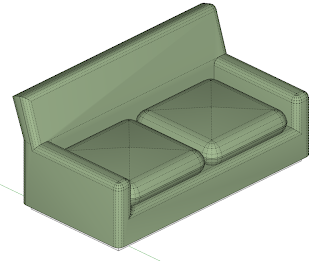 For the front of the sofa I selected the U and V direction and then I continue dragging to the rounded faces. rotation, scale (uniform and non-uniform), mirroring, tiling and return home. transformation), the VCB, where you can enter an exact value or you can use the visual editor (click when you see the cross Red / Green). cabinet. The list of mobile elements can be extended to a wide variety of settings and include such things as retractable lamps, furniture like a sofa bed, staging, ceilings, vertical partitions, sliding roofs and even shop windows. is not free, but it’s available on a 10-day trial. It can translate, rotate and scale an object, animate subgroups/subcomponents, assign Keyframe transition times and export to a Movie. The plugin can be downloaded from http://regularpolygon.org/keyframe-animation/ where you can also find easy-to-follow tutorials. movements. The end result still needs some polishing, but it is far enough along to demonstrate its scope and illustrate a combination of translations and rotations. The user need only to generate different groups and then record the initial, the in-between and the final positions. In this example the fish only rotate around a center. In this example the cabinet has a combination of rotations and translations to show the Lazy Susan and drawer.